Russia's President denied propping up Syria's Assad but says it's up to the Syrian people to decide on their leader. Russian President Vladimir Putin on Thursday denied propping up Syrian President Bashar al-Assad and stressed that Moscow was only seeking to avert a perpetual civil war. "We are not concerned about (Bashar Assad's fate). We understand that the family has been in power for 40 years and there is a need for change," Putin told a major Moscow press briefing, according to AFP. At the same time he made no call on Assad to step down and said it remained up to the Syrian people themselves to decide their future through peaceful talks. "What is our position? Not to leave Assad's regime in power at any price, but to first (let the Syrians) agree among themselves how they should live next," Putin said. "Only then should we start looking at ways to change the existing order," he added, according to AFP. Russia has remained Syria's main major ally throughout 21 months of violence that an opposition monitoring group said on Thursday has killed 44,000 people. It scuttled three rounds of UN Security Council sanctions against Assad for his crackdown and condemned Washington for recognizing the Syrian opposition as the legitimate voice of the country's citizens. That position has frustrated Western attempts to end the bloodshed by forcing Assad from power. It has also condemned Moscow's continued military ties with Damascus. Putin on Thursday argued that Russia's call for dialogue was meant to avert "an endless civil war" between the armed rebels and government forces who still control most of the capital Damascus. 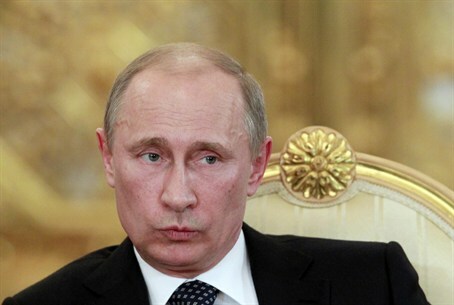 "We want to avoid (Syrian) disintegration," said Putin. The comments come a week after a top Russian official hinted that Assad's days are numbered. The coutnry's Deputy Foreign Minister Mikhail Bogdanov, Russia’s top envoy for Syria, said that recent events in Syria show that the government's grip on the fighting is slipping and that the rebels stand a real chance of defeating Assad.